Life as a web designer is tough as our design brains can wonder off into the real world where we analyse the many objects we interact with. Design is everywhere. That chair you’re sitting on, the sink in your kitchen, the shelves in your wardrobe, street lights, fences in the local park, vending machines, etc. I could go on but needless to say, it’s literally everything. You can’t avoid it, so let’s make the most of it. You should think about design of real world things as it will help you think deeper about your work and reduce creative block by keeping your creative mind active, as I’ll explain. To help me with creative block, I keep my design brain ticking over by constantly considering the design of many real things including showers (travelling for 9 months will do that to you), chairs, bottles, packaging, kitchen utensils, TV remotes (who designs some of these monstrosities?! ), light switches (currently I’m slightly confused why I have to turn a circular switch twice to turn on the lamps in our current apartment), microwaves (I don’t think I’ve ever come across a well designed interface for a microwave), to name just a few. Basically anything I interact with, so there are many more examples I could list, but you get the picture. After travelling the world for 8 months I’m pretty confident I could become an expert shower designer. Wife has dragged me to the cinema. The ticket machine was one of the worst man made experiences I’ve ever seen. Remembering the time when I tried to use a self-serve ticket machine at a large chain cinema and my design mind was on fire! I promise I don’t always complain about things on Twitter! Have a look for yourself. Start exploring real world objects, asking yourself why they’re designed the way they are and what you would do differently. Compare different designs of the same object and discover what the best designs do. Think about them deeply. We do this with other web designs, such as the Learn from Great Design series I run every month, so why not with objects you interact with every day? For example, you wouldn’t believe how many shower designs place the drain directly in the exact spot I want to stand. Sure, I’ll just accidentally stand on this thing in the ground with my bare feet 20 times in 10 minutes! Why not?! Once you start really thinking about the design of everything you use, you will automatically have the same mindset when designing websites. 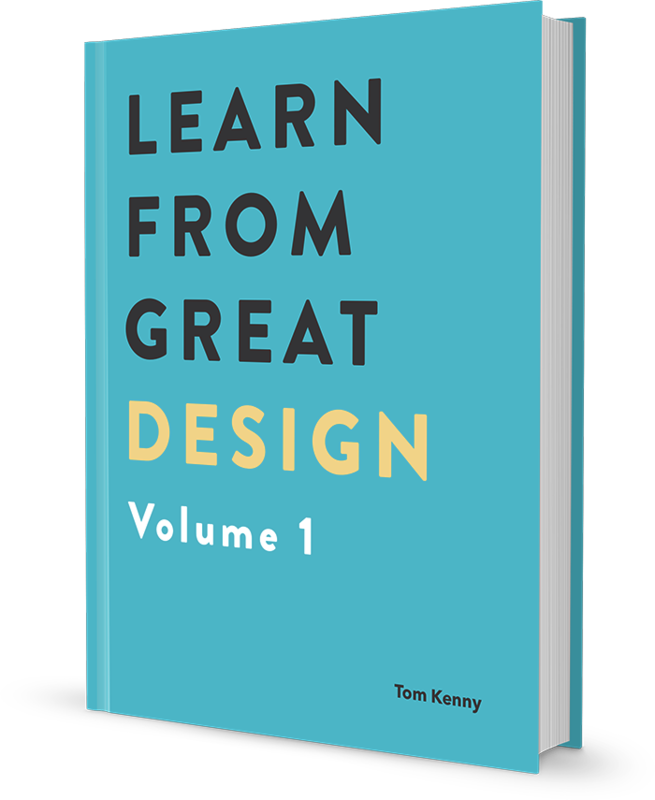 You will now understand your design work at a deeper level, allowing you to create designs better than you ever have before because your mind will be used to thinking more deeply. In a previous article, I’ve told you to take inspiration from bad design on the web to improve your own work. Now you should take that same approach into the real world too. You will get frustrated but it will help you see why the best designs really are the best. When you combine this new way of thinking with keeping your creativity flowing with a creative hobby, you’ll be keeping your creative mind active and worrying much less about creative block than the average designer without having to do any extra work.